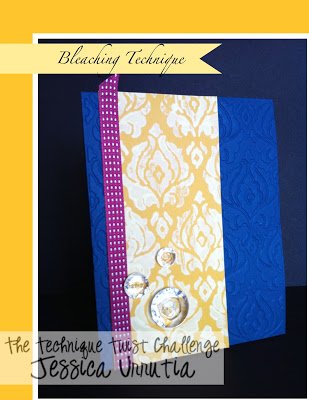 Today's challenge is Bleach Stamping! Take a plate & a folded up paper towel then carefully pour a little bleach to saturate the paper towel. 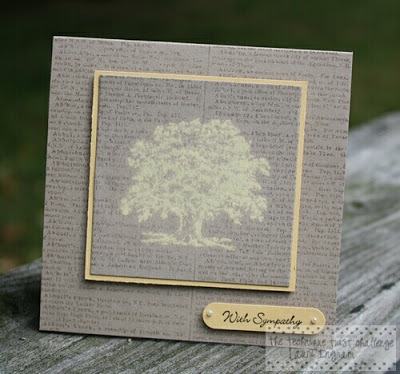 Press your stamp into the bleach then onto your paper medium just like regular ink. 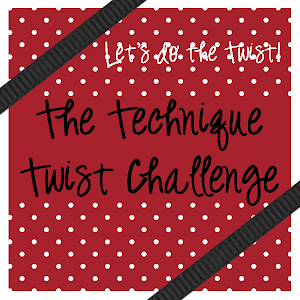 Link up below with your creation & tell us how you twisted the technique by September 11, 2013 at 1159p. Click HERE for our challenge guidelines. If linking up through SCS, use TTTC06 as your keyword. 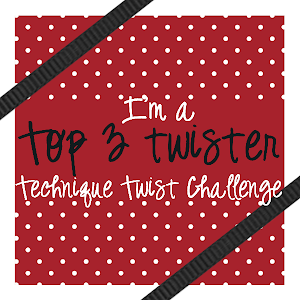 Challenge winners will be announced with our next challenge on September 15! Well, I thought about skipping this one as I really don't do well with bleach and hardly ever use the stuff. But I got an idea from Jessica to try the bleach pen. Well my pen is pretty old and didn't work at all. So I braved it out and got a little bleach out. I did my bleaching part tonight and will finish the card tomorrow afternoon after work. Thanks for the feedback, Carol! Can't wait to see your card!